We are here to try and help you every step of the way. 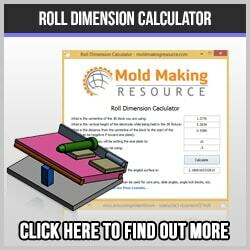 Check out the Mold Design Tutorial and the Roll Dimension Calculator. They are unique in the industry and are used by world class companies the world over. Our expertise is born out of decades of hands-on, practical experience in the entire manufacturing process. This knowledge is fast becoming a scarce commodity in the workplace, and it is our aim to help management and toolmakers to reduce production costs and make a profit. Several technical schools specialize in mold making, plastic molding and design, though such community school programs are becoming more rare all the time. Finding quality training and resources is not always easy, so we decided to do something about it. 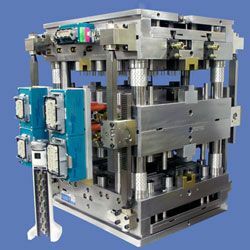 We cover every aspect of this complex process, with an emphasis on injection mold making, though most of the practices and techniques apply to other areas of the plastic molding process. Thermosetting, compression, die-cast, blow, insert, metal insert, vacuum forming, and silicone are examples of technologies that share common machinery and methods. Within each of these categories you will find useful guides, tips, how-to’s and general information to enable good decision making and execution for any project in the shop. For example: in the Grinding category there are articles on operation a Ded-Tru centerless grinder, advice on how to grind core pins, what grinding wheel works best for D-2 tool steel and so on. One especially useful feature is the user generated content we receive from experts in the field. 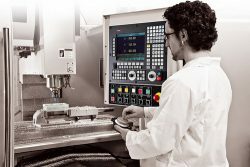 What this means is that a metrology engineer from a leading supplier of precision measurement tools could write articles on surface finish or about how to best use a digital depth gage, for example. This gives the reader a fresh insight into the problem at hand and can very often help to solve some very perplexing problems. Every project begins with the design. 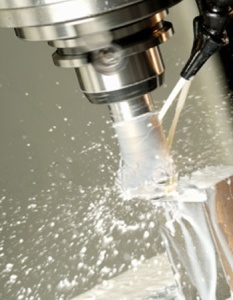 The days of “making it up as you go along” have gone the way of Bridgeport attachments such as a Volstro head. Current trends are heading toward greater complexity and more detail in one block, which makes for some very challenging tool designs. 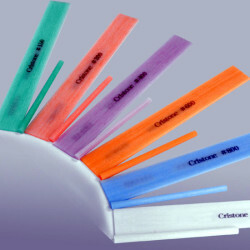 Customers have come to expect near perfection in their plastic parts, medical products in particular. This makes the designer’s task that much more difficult. You can learn solid concepts such as how to place gates and runners, or how to design complex tools by using the mold design tutorial. This tutorial is unique in the industry and is used by world class companies such Bose, the speaker maker. 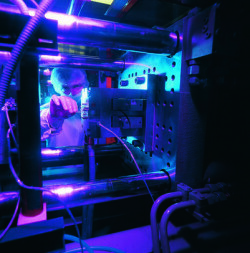 Learn how this fascinating process works in real-life. Finding quality training can be a challenge, with so few apprenticeship programs and technical college courses available. 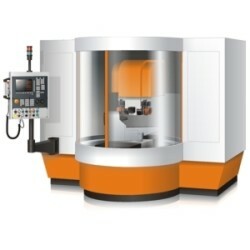 A skilled mold maker is usually qualified in numerous areas and able to move comfortably from one process to another. The training required consists of design, basic milling (such as a manual Bridgeport), metallurgy, trigonometry and geometry, hand work such as filing and polishing, drilling and tapping, CNC milling, lathe work, programming, surface grinding, sinker EDM, wire EDM, assembly and much more. No wonder it takes years to become proficient! Finding and using the right industrial supplies for the job is a critical part of the production process. Using the wrong type of tool steel, for example, can be disastrous, as can using the wrong graphite for EDM electrodes. The cheapest is certainly not always the best. Learn about CNC tooling, carbide cutting tools, EDM tooling, WEDM wire, dielectric EDM oil, tool steel, surface grinding accessories, precision measuring tools, polishing equipment and more. Keeping manufacturing costs low is a constant challenge. Every year delivery dates get shorter, expenses increase, and yet the prices become lower; what a business to be in! Industrial supplies cost more, insurance costs escalate, benefits increase, the list goes on and on. Learn about the pros and cons of outsourcing, how to implement a lean manufacturing initiative, machining training and how to keep production costs low. The plastic molding process can be rather mysterious for the average person, which is understandable when you consider how complex and varied it is. Despite the fact that we are surrounded by plastic items most people have only a vague concept of how things are made. Here is an explanation of how injection, silicone, compression, transfer, insert, blow and metal molding work. Other types are covered as well, plus we discuss biodegradable plastics and recycling. Try the Contact Us page, please. hello, can we be a member please? What do you have in mind? Use the contact form if you are interested. Hi, i am an novice engineer. I am interested in this tutorial. 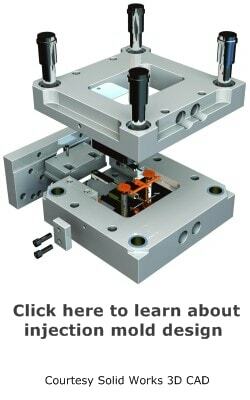 I would like to know whether the mold design tutorial is on specific design tool(NX, Solidworks or Autocad)? Mold drafts facilitate part removal from the mold. The draft must be in an offset angle that is parallel to the mold opening and closing. The ideal draft angle for a given part depends on the depth of the part in the mold and its required end-use function.